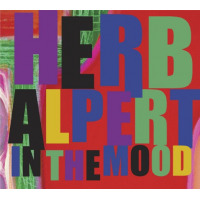 Herb Alpert's persistent artistic vision reverberates as one note comprised of three simultaneous chords: curiosity, integrity and excellence. 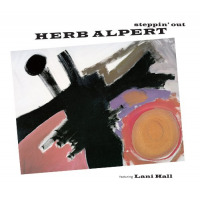 Creator and innovator, musician and producer, artist and entrepreneur, Herb Alpert is one of this generation's true Renaissance Men, a man with a profound passion empowering his every endeavor. 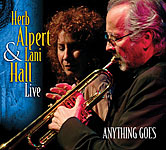 An extraordinary musician, Alpert's trumpet playing earned him five #1 hits, eight Grammy Awards, fifteen Gold albums and fourteen Platinum albums. Herb Alpert and The Tijuana Brass propelled Latino music into the pop music limelight, at one point outselling the Beatles two to one. Through commitment to artists with personal vision, Alpert (along with partner Jerry Moss) guided A&M Records from a humble Hollywood garage operation into the largest independently owned record company in the world. Great performers such as Carole King, Cat Stevens, Styx, Supertramp, The Carpenters, Sting and Janet Jackson are evidence of the consistent quality and diversity of the A&M Records family. One bold, brilliant sound with many different simultaneous chords. Alpert's most serious contribution may yet be his greatest. The Herb Alpert Foundation assists educational, arts, and environmental programs dedicated to the training of young people, helping them discover their own potential and vibrant energy. In all of these ventures, there is a harmony not unlike Alpert's music, a flowing of energy and sound, a dedication to quality which sustains everything Alpert does and separates him into a class by himself, a class of leaders to be emulated and remembered. Anna Mjoll @ Herb Alpert's Vibrato - Almost Sold Out! All About Jazz musician pages are maintained by musicians, publicists and trusted members like you. Interested? 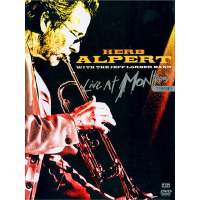 Tell us why you would like to improve the Herb Alpert musician page.